The hair is one of the essential components of the beauty of a face. It is important to keep the volume and brightness of its texture. 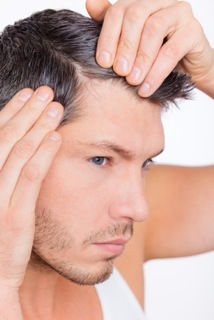 Hair loss first evokes a male problem. But the feminine demands for this pathology are daily. In fact, if at age 30, 33% of men complain, at age 40, 20% of women are confronted with it. Emotional repercussion can be important. I-Prf represents a major breakthrough in the treatment of alopecia (hair loss) as well as in the treatment of uncollected eyebrows. 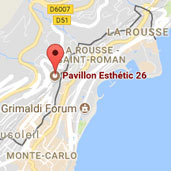 Indeed, the eyebrow has a fundamental role in the balance and in the expression of the face. It may appear an impoverishment of the eyebrow hairiness related to repeated epilations or aging. The restoration of the volume of this aesthetic unit is important in the rejuvenation of the gaze. Plasma rich in fibrin has been used for 20 years in implantology, reconstructive surgery and orthopedic for its healing and revitalizing virtues. Prf is a bio revitalization serum obtained by simple centrifugation of a blood sample. This i-Prf is a liquid concentrate 100% biocompatible (without risk of rejection or allergy) that will stimulate the tissues by activating a natural process of the cells that compose them to obtain a hair regrowth. The treatment is based on the fact that the stem cells in the hair bulb are equipped with receptors for growth factors. 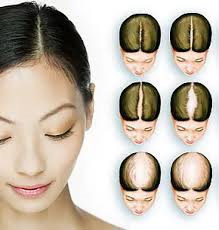 The use against hair loss gives excellent results, as shown by many scientific publications. The i-Prf that some call cellulotherapy or autologous cell therapy consists of releasing growth factors and cytokines able to regenerate the hair follicle stem cells. These stem cells once "awake" will cause the regrowth of hair but also the appearance of new capillaries (angiogenesis) fundamental step of regeneration of the scalp. This will promote hair growth and increase the size of the follicles and hair. The huge advantage of Prf over Prp is the existence of fibrin, which plays a vital role. To explain the mechanism in pictorial terms, i-Prf is a hair fertilizer that will be distributed by fibrin drip, to the stem cells of hair follicles. The growth factors thus remain longer in the treatment zone allowing a prolonged action essential in its duration to awaken dormant hair follicles under the skin. A blood sample is taken on a tube without any chemical additives (unlike Prp) and immediately centrifuged according to a method exclusive to Prf. 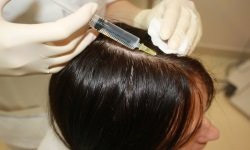 The plasma concentrate thus extracted is then injected by mesotherapy into the areas of the scalp to be treated either with a needle or with Mesopen. An i-Prf session lasts about 40 minutes. Depending on the importance and age of hair loss, it is necessary to practice several close sessions to restart the process. It is planned initially between one to two sessions spaced 15 days and then one to three sessions spaced a month. Maintenance treatment is done bi-annually with one session every six months. The follow-up is simple and the patients can restart a professional activity the day after the treatment. Indeed to optimize the results, it is advisable not to wash the hair immediately after the session, because of the presence of the residues of the injections at the root of the hair. It is good to wait 4 hours before shampooing.